Do You Want To Know Why Do Dogs Eat Poop? How Do You Get Your Dog to Stop Eating Poop? Why Does My Dog Eat Cat Poop? Age -When dogs are puppies, they may sometimes eat their own feces or other animal’s poop because they do not know what it is. In most cases, this happens when a puppy does not have other animals around to learn from. Training – Sometimes, how we train our pets will lead them to do unexpected things. If for some reason we keep our dogs locked in a room, without any food and leave them there for a few days, they will eventually start eating anything that they find, in order to survive. In some cases, they may eat their own feces, yet this is just a survival instinct and it does not happen very often. In other cases, we might scold our pets because they defecated in a place that they shouldn’t and this could lead to them eating their own feces. Yes, in some cases, dogs will eat their feces, to hide it from you! This is certainly something that we don’t want to train our pets to do. 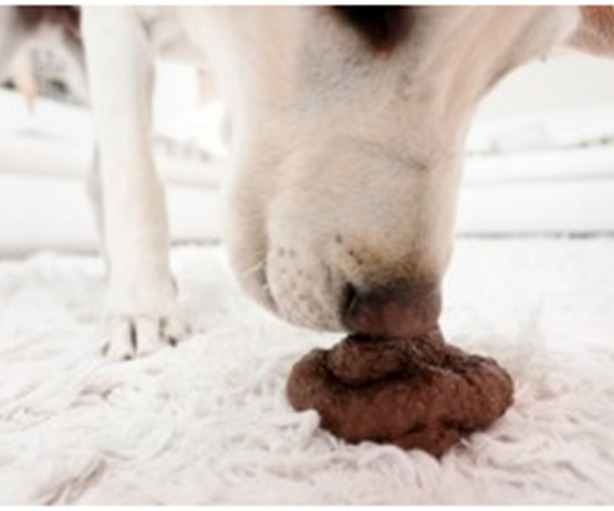 So do not put your dog’s nose and mouth over their poop, when they do their necessities in a place that they shouldn’t! This can only encourage them to be scared of you and to eat their own feces to hide it from you. Living environment – The way that an animal lives in, could also lead it to try to eat things that it shouldn’t. This could be either for a situation like the ones mentioned above or because the dog finds something interesting and decides to try it. Bad Nutrition – In other cases, your pet may not be getting enough nutrients and this could lead it to eat things that it shouldn’t. Other times, when there is more than one dog living in a household and one of them gets sick, the healthy ones will eat the sick animal’s poop, to protect it. This is a natural instinct and although it seems disgusting, some animals do it to prevent predators from smelling their feces and finding them. Protect their Puppies – Female dogs may also sometimes eat their puppies poop, in order to protect them from predators. As mentioned above, some animals do this because this will prevent the odor from attracting predators to their den. This happens mostly in wild animals, but it could also happen to your pet and this is why it is important to keep an eye on them at all times. As you can see, there are several reasons why do dogs eat poop. Some of them are the natural instinct, others are human negligence and others have to do with mistreatment. Either way, when you see an animal eat excrement, something is not right and you should look more into it. 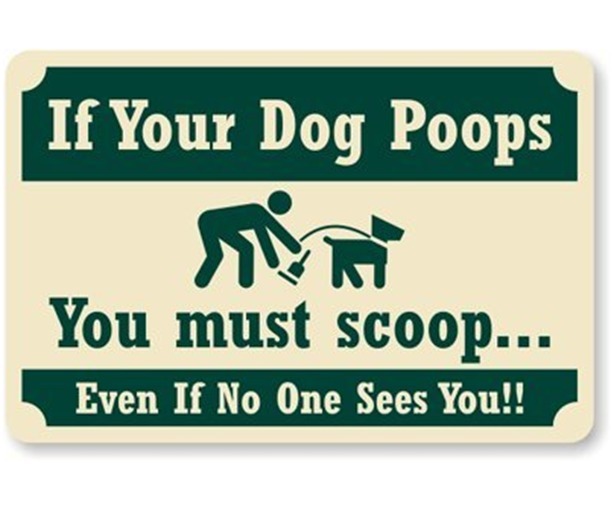 If you have caught your dog or puppy eating their own poop or that of another animal, you should definitely try to train it to stop doing so. This is not healthy for them and it could lead to some serious health problems. The following are some steps for getting your pet to stop eating feces. 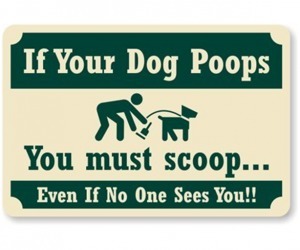 Step 1 – First of all, if you find your dog eating poop, you should take it to your vet immediately. In some cases, your pet may be lacking some nutrients and getting sick. Not treating it fast, could lead to your pet getting seriously sick and dying. Step 2 – As mentioned above, your dog may be eating feces because it is not getting enough nutrients. So if you haven’t consulted your vet, you should try feeding your pet better food and making sure it always has something healthy to eat. 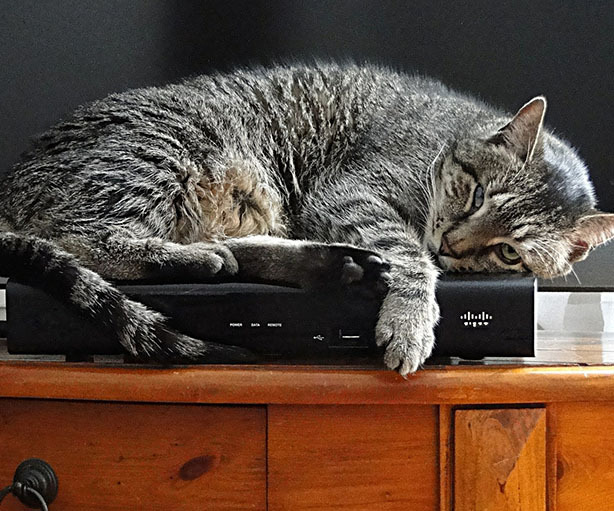 Step 3 – Make sure that your pet is entertained and having some attention. If your dog is bored or is alone most of the day, it may also start eating its own excrement. You can solve this by playing more with it or taking it for a walk. 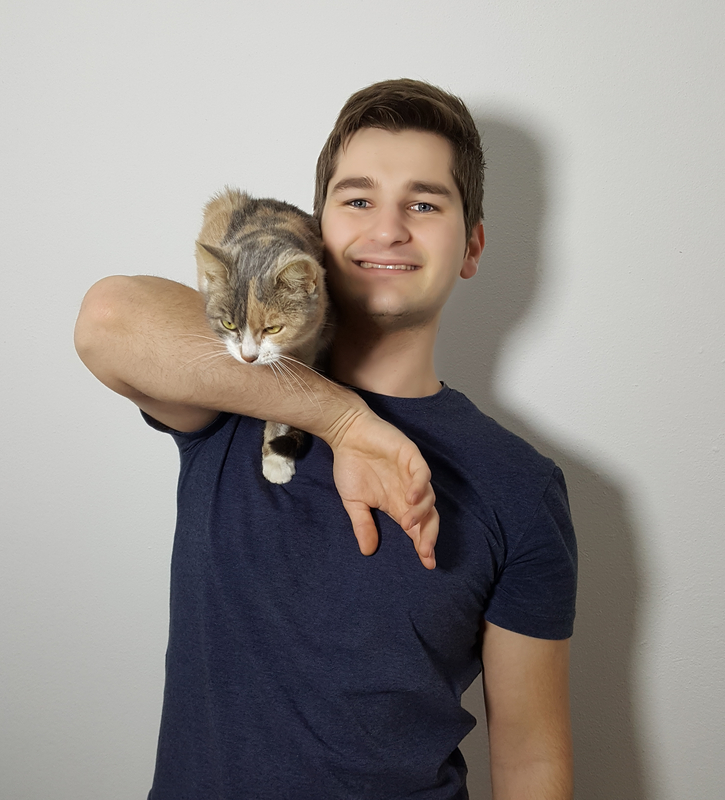 Give your pet some love! So make sure that you are feeding your pet enough healthy food and that you are giving it enough attention. Doing so will surely prevent your dog from eating its own feces and this is something that you must do if you are going to be a pet owner. Like we have been telling you in this article, there are several reasons why an animal may start eating excrement. It is important to watch them regularly, as this could lead to their death. It is not uncommon for puppies to eat their own feces and if you do not pay attention, they could get seriously sick. The most common reason for puppies to eat something that they shouldn’t is because they are curious and just want to see what it is. Just like human babies, puppies also have a stage where they take everything to their mouth and sometimes they may eat poop. Because puppies do not have strong stomachs as adult dogs do, it is easy for them to get seriously sick if they eat their own excrement. This is why it is extremely important that every puppy owner looks after it and that they train them well. Remember that putting your puppy’s face on its feces and scolding it, is not a very good way to train it. This action could be even worse with time! Being a good pet owner is the best solution for keeping your puppy from eating its own feces and for keeping it healthy too. 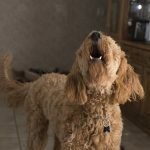 There are many answers for why do dogs eat poop, but it can mostly be said that this is due to the owner’s neglect and mistreating their puppies. Loving your pet is very important if you want it to be healthy and happy. If you treat your puppy with love, it will grow to be a healthy animal. The following video teaches us more about how to stop our puppies and other animals from eating excretions. JoAnne Basinger is the pet trainer talking in the video and she really explains this situation very well. She also talks about the importance of cleaning up after our dogs, so just do it! Like we have mentioned several times in this article, it is not uncommon for animals to eat their own feces. You should also know that dogs may eat cat feces sometimes and you should really be concerned, if your pet is eating another animal’s excrement. This is a real health issue and you should definitely take it seriously. If your dog is eating cat excretions, you should take action immediately! If you do not do anything, this could become a problem that you cannot solve. According to Pets the Nest, “eating cats feces, is pretty typical for dogs”, so you shouldn’t be very scared when this happens. Step 1 – You should take your pet to the vet and find out if it is having any intestinal or stomach problems. This could be the reason for your dog eating cat feces. Step 2 – It may be possible that your pet eats cat excrement because it inherited this from its parents and it has been programmed to do so. This happens when dogs want to protect their clan. Make sure that this is not your pet’s case. Step 3 – It is also a possibility that your dog enjoys eating cat poop. If you find this to be the reason, you must do something right away! If you continue to allow your pet to eat cat feces, it will surely get sick and die. If you still need to know why does my dog eat cat poop, you should watch the video below. It has some very useful tips and you will certainly learn a lot more. Remember that it is not uncommon for certain animals to do this and that it is only bad behavior, which can be fixed. The next time that you see an animal or your pet eating feces, remember that this is not uncommon behavior. Some animals might be doing this for attention, some may be doing it because they are sick, others may be doing it because they are hungry, others may be doing it because they are curious and others may be doing it because they want to protect each other. 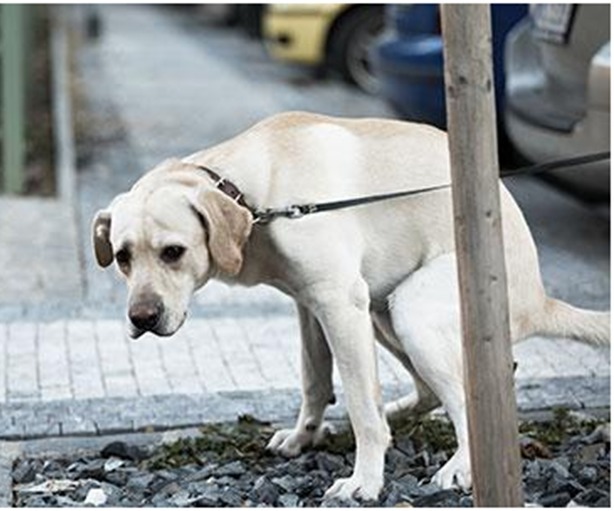 The following are some pictures related to stopping a dog from eating poop and what can happen to them if you do not do anything about it. The pictures might not be very nice to look at and some of you may have problems with them, so proceed at your own risk. Just like humans, dogs also need to poop! This allows their bodies to get rid of waste and things that it doesn’t need. This is part of their digestive process and although most of us do not like watching dogs doing their thing, we must remember that it is just a normal biological thing. So if you see your pet or any dog going to the “bathroom”, you should really not get mad at it. They are not doing it on purpose, but it is just something that their bodies need! If you scold your dog when this happens, it may learn the wrong idea and it may start eating its own poop to hide it from you. If you care for your dog, you must make sure that you take good care of it. You must let it go out a few times every day or you should try taking it out for a walk every now and then. You should also make sure that it has enough space for it to have fun and rest. This will prevent a lot of health problems in your pet and it will also keep your dog’s space clean. If your dog is smelling its own feces or that of another animal, it may just be because it is curious and wants to know who else was there. This is also a way for animals to mark their territory and this is why you should not scold your dog when it gets close to some excrement. This may just mean that it is taking care of its territory and that it wants to protect you and it’s family. Treat your dog right and they will treat you right too. There is no other animal as loyal as a dog and many people have already seen this many times. The best way to prevent your dog from eating its own poop or that of another animal is to clean after your pet and to keep an eye on them. If your pet does not have any feces around, it will not be curious about it and it will not eat it. If your dog is in a yard or if you take it for a walk every day, you can make sure that there is no other animal poop around it or that it does not go sniffing around. This will help your dog to stay healthy, it will prevent it from getting a bad habit and you will feel proud of it. If you are going to own a dog, you must be ready to take good care of it and to take on some responsibilities, which not everyone is ready to handle. Dogs are living beings and they deserve to be treated right. In some cases, dogs may not know what is best for them. We have to remember, that they are still only animals! This is why we have them as pets, as we can take care of them and give them the love that they deserve. 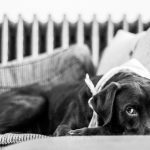 How to Stop Dog Vomiting After Drinking Water? Caution! The Best Ways to Stop Your Dog From Chewing? 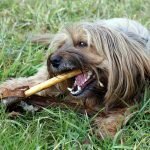 Stop Dog Chewing Problems Right Away!